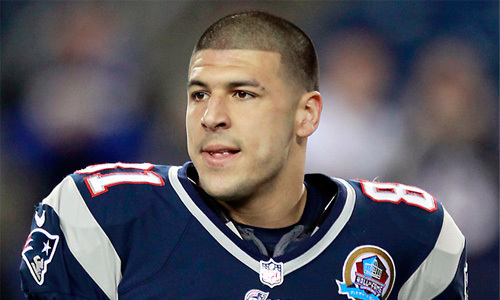 UPDATE: Aaron Hernandez has been charged with murder and 5 gun-related charges; pleads not guilty. His arraignment is currently underway in Attleboro District Court. The New England Patriots have released TE Aaron Hernandez just 90 minutes after he was taken into custody by Massachusetts State Police. Hernandez has been at the center of a police investigation ever since the body of 27-year-old Odin Floyd, an acquaintance of Hernandez, was found shot in an industrial park not far from the tight end’s North Attleborough mansion last week. ABC News reported on Friday that Massachusetts authorities were expected to execute an arrest warrant at some point for Hernandez for obstruction of justice, but an arrest never came until today. Police believe Hernandez was involved in the intentional destruction of his home surveillance system and personal cell phone. Hernandez will be arraigned today at Attleboro District Court. 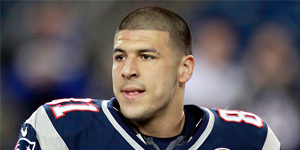 In three seasons with the Patriots, Hernandez caught 175 passes for 1,956 yards and 18 touchdowns.